Computer modeling has shown that the clumps of superdense matter in the depths of neutron stars are characterized by incredible strength for ordinary materials. Large stars die, exploding with supernovae, and can leave behind a superdense neutron star: at a size of a couple of dozen kilometers such bodies weigh like ordinary stars of medium magnitude. Most of them consist of a nucleus – a mixture of protons, neutrons and, possibly, more exotic particles. This incredibly dense “degenerate” substance has extremely unusual properties. It is assumed that at a certain depth it forms rather complex structures – bunches, flat layers, long filaments. For the similarity with popular dishes of Italian cuisine they are called “neutron gnocchi”, “neutron lasagne” and “neutron paste”. 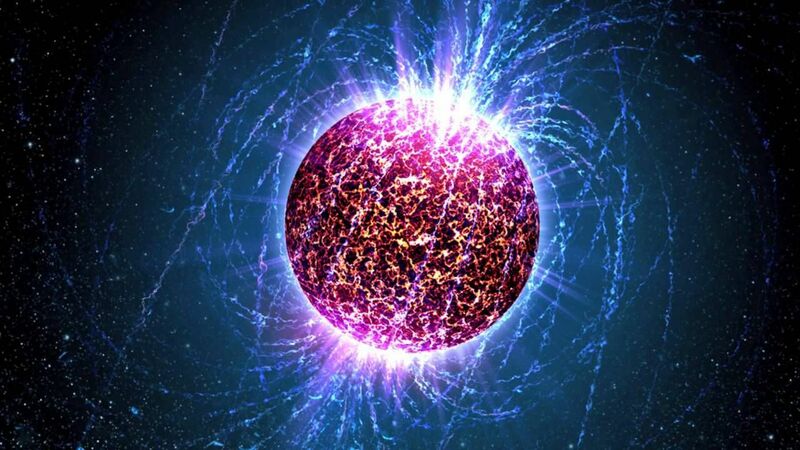 The density of the neutron paste is colossal, hundreds of trillion times the density of water, and its laboratory studies are not yet possible. Therefore Charles Horowitz (Charles Horowitz) from the University of Indiana in Bloomington and his colleagues studied the elastic properties of this substance in theory by computer modeling of its response to stretching and deformation. In an article published in the journal Physical Review Letters, scientists report that the destruction of “paste” threads requires a colossal force – greater than that of any other known substance. Probably, these calculations will be verified with the help of a gravitational observatory, such as the LIGO project, thanks to which gravitational waves were recorded. Neutron stars rotate rapidly, and if there are inhomogeneities on their surface or in the depths, they must radiate gravitational waves. It was believed that in a powerful field of gravity stars superdense “mountains” on its surface can not rise above a few centimeters. However, new calculations of the elastic properties of neutron paste showed that it is incredibly durable and is quite capable of maintaining the existence of irregularities up to a dozen centimeters in height. This gives hope that sooner or later gravitational waves from a rotating neutron star will be detected.